One of the concerns that has been raised after the mid-semester announcement about OneLIU is whether student voices are heard by university administrators, and how they can communicate their concerns. Dean of Students Michael Berthel believes that the Student Government Association (SGA) is an important vehicle for student concerns to be addressed. “The SGA is one of the most important tools that students have,” Berthel said. Many students reach out to Berthel via email, he said. “I do get concerns or comments from students, if they have an idea or something they want to bring to campus, they want a new service or program they want offered or they want to make a new club, we get emails like that all the time. Make sure you reach out, make your voice heard,” he said. Not all students feel comfortable coming to the Promise office or calling on the phone, but Berthel said there are alternatives. 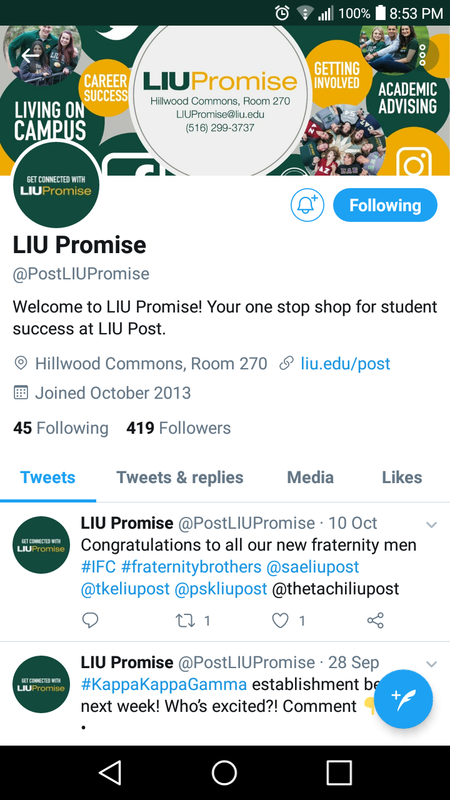 “That’s why we keep up on social media and email, and how students express themselves it is important for us to know what students are feeling.” LIU Promise has social media accounts on Instagram (@postliupromise), Twitter (@PostLIUPromise) and Facebook (LIU Promise LIU Post). The success coach social held on Wednesday, Oct. 17 was a success, according to Berthel. “The idea was come in and talk to your success coach about an idea you had or something you want to see on campus; Jean and I were available to talk to students,” Berthel said, referring to Jean Anne Smith, the associate dean of students and Title IX coordinator. Erica Ferrara, a senior geology and environmental sustainability major and the vice president of the SGA, said that the group has been working to improve how students give feedback to SGA and to the administration. “SGA has been working very hard to have all student concerns heard by upper administration,” Ferrara said. “Our council has been meeting with multiple administrators in the past few weeks,” she added. These administrators include Berthel, director of campus life Ashley John, athletic director Debbie DeJong, President Kimberly Cline and director of facilities services Roy Fergus. SGA will create a newsletter to increase communication, and an anonymous comment forum. “We have created an anonymous comment form that can be accessed through a QR code that will be displayed all around campus, where students can submit comments, concerns, and suggestions to us,” she said. Ferrara encourages students to email or contact any member of the SGA executive board. She can be contacted at erica.ferrara@my.liu.edu. SGA is also seeking a Greek Senator and Athletic Senator. “We are also requesting that anyone interested in joining our council or getting involved in any particular initiative, to contact myself or Olivia Kavanaugh,” Ferrara said. Sadly, the so-called “One LIU” campaign is the penultimate step in the University’s decades-long effort to completely subsume the identity of the C.W. Post campus and rewrite history. I graduated in 1968 and my diploma read “C.W. 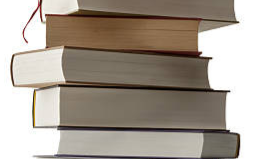 Post College.” I didn’t get my diploma laminated for a couple of years, and when I finally did, the studio smeared the printing and ruined the diploma, making it necessary to obtain a replacement. The replacement, which I received in 1970, read “C.W. Post Center of Long Island University.” The effort had begun. Since then, my alma mater has been successively renamed the “C.W. 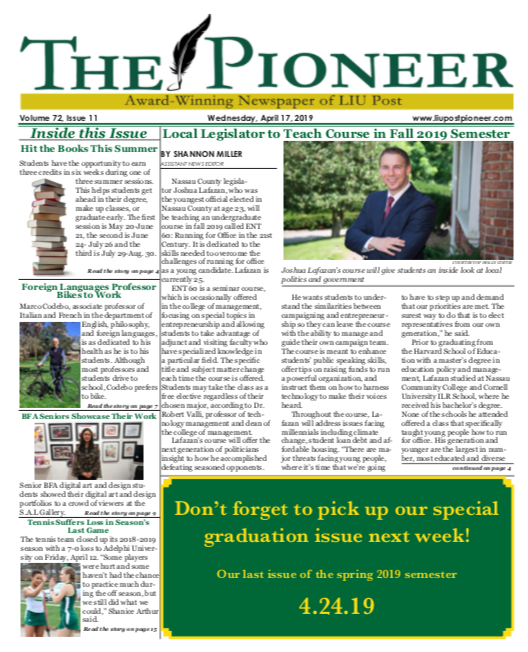 Post Campus of Long Island University,” and most recently, “LIU Post.” Typically, the “LIU Post” rebranding was implemented during the semester break in order that students would not be given an opportunity to voice their opinions and would return to campus to encounter a fait accompli. Lest anyone think that I’m overreacting, one has only to look at the campus website, which describes our campus as a “former Gold Coast estate,” with no mention of C.W. Post, whose family sold the estate to the University, making it possible to establish C.W. Post College. Several years ago, at an athletic department function shortly before his retirement, President Cline’s predecessor, David Steinberg, attempted to explain why our school’s name had been changed in favor of “LIU Post.” His justification appeared to be that it was done in reaction to the fact that Mr. Post’s heirs did not continue to support the University financially to the extent that the administration thought appropriate; as I listened to his justification for the name change (rendered in a somewhat confrontational manner), it was hard for me to come to any conclusion other than that it had been done out of spite. Needless to say, the attendees were not very supportive of his remarks and made their displeasure known in a very vocal way. Steinberg appeared to take no notice of the audience’s reaction, plodding on through his remarks until he had finished what he had to say. Upon finishing his address, he took no questions or comments from those in attendance. I am very sympathetic to the current students’ anger and confusion at the Cline Administration’s apparent policy of making decisions without considering input from students, faculty, alumni and other interested parties. It’s no consolation to either you or me to note that it’s part of a decades-long leadership pattern of top-down decision-making that ignores input from anyone who doesn’t drink the Kool-Aid, and attempts to censor anyone or any organization that has the temerity to disagree with the dictates from the ivory tower. As students, you always have the option to pull up stakes ( as unhappy a prospect that it may be), and transfer to a school that realizes its responsibility to listen to its stakeholders and take their needs into consideration. This administration must be made to understand that they need to listen to what we have to say. They need to acknowledge that as a student, you are more than merely a checkbook, and if and when you graduate and become alumni, you will vote with that checkbook when they come around (as they inevitably will) to look for financial support from alumni.